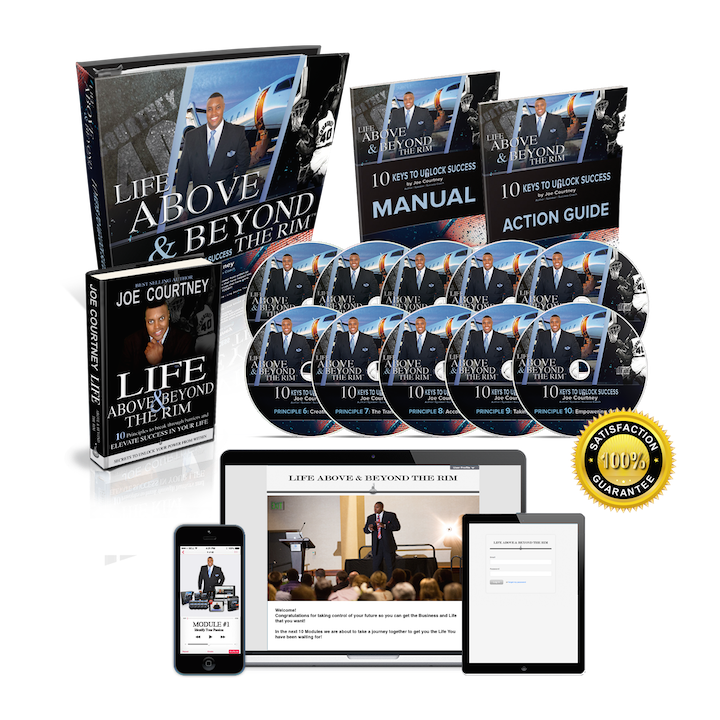 This system will walk you through the 10 principles of success in Joe’s best selling book “Life Above the Rim”. 10 Modules breaking down each of the 10 principles so that you are crystal clear on how to become successful in any endeavor that you choose. There is also an action guide that allows you translate your life into these principles and to stay on track so that you have the best chance achieve the success you desire! Joe speaks and teaches on the principles and examples of how to apply them in your life. There is also an interview by a well known radio personality that interviews Joe on success topics discussed in the principles which is impactful and entertaining! Finally Joe includes coaching videos that will jump-start you in you 1st month so that you stay on track and have a better chance to Success! Listen and transform your life on the go from your mobile phone, tablet or vehicle! So if you can’t wait to get started and don’t want to wait for shipping this is the solution for you! The Ultimate DIGITAL Audio Coaching Success System! The complete LABR Success system that you get with CD’s and action guide but in the form of a Digital Download with Manual and action guide in PDF format. Upload to your Mobile device and Listen on the go. The Ultimate PHYSICAL Audio Coaching Success System! The complete LABR Success system with the physical CD’s 295 page Manual and 60 page Action guide. This Physical System with Manual and action guide will be mailed to you.